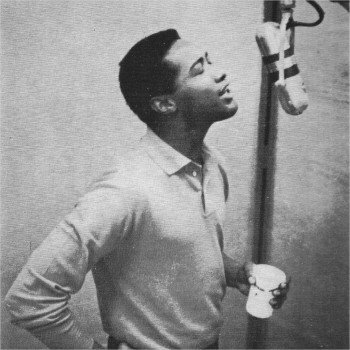 It’s not for nothing that Sam Cooke became known as the King of Soul. He’s widely considered one of the chief pioneers of soul music. Indeed, before his tragic death in 1964 at the age of only 33 years old, he had penned 29 separate Top 40 hits and founded a successful record label building off of his success as a songwriter and performer. Released as a single in 1962, “Bring It On Home To Me” has been described as both “the definitive soul song” and the “founding of soul music” by music historians. It’s no exaggeration to suggest it’s been covered hundreds of times by artists that include everyone from Paul McCartney, John Lennon, R. Kelly, Low Rawls (who provided backing vocals on the original), Aretha Franklin, Al Green, Van Morrison, Otis Redding, Bon Jovi, The Animals, Colin Meloy, She & Him, and Britt Daniel. I’ve included three of the most contemporary takes of the tracks (those by Colin Meloy, Britt Daniel, and She & Him) for you here. Know of any other good ones? Which one suits you? My all time favorite version is a live version recorded by Cooke himself at the Harlem Square Club in 1963 (only a year before his death).